The Simmental valley in the beautiful Bernese Oberland is where we have our home. We specialise in the gentle drying and processing of fresh, aromatic Alpine herbs from controlled organic farming, to make wonderful herbal products. The Alpine region benefits from a mineral-rich soil. In the mountains, the sunshine is more intense and concentrated on the soil than in the valleys, because the sun’s rays strike the slopes at a right angle. 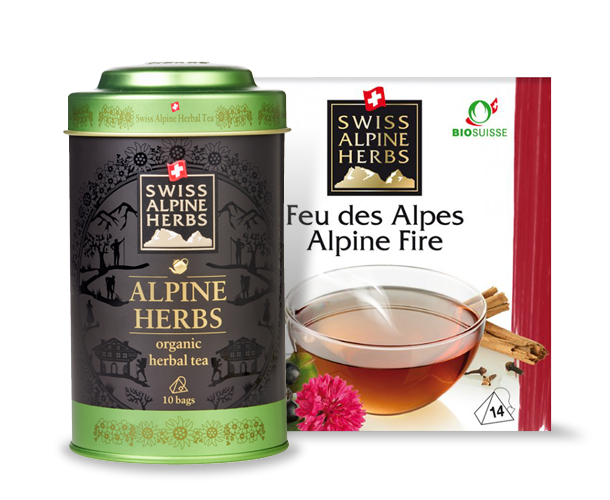 Enjoy our aromatic Swiss Alpine Herbal Teas of Switzerland. Choose from wide range and treat yourself to the sumptuous flavours of herbs grown in the Swiss Alps.